With iOS 10, macOS Sierra, and watchOS 3, we've gone beyond the stage of Apple products simply working better with other Apple products, and more into them actively working together. Apple often credits its unique combination of hardware, software, and services as the secret sauce that makes its products so good. It’s hard to argue that control over the whole widget hasn’t played into Apple’s history of creating incredibly well-designed products like the Mac, the iPod, the iPhone, and the Apple Watch. But as our technological lives get even more and more complex, it’s become apparent that Apple’s play is ever more about the ecosystem. I came to this realization in the aftermath of the company’s WWDC announcements of the past month, when I found myself itching at the prospect of upgrading my Apple Watch to the watchOS 3 beta. Much as I would like to come before you with that task as a fait accompli, it turns out that the situation’s just a little more complicated than it used to be. Want to install the watchOS 3 beta? Not so fast. In the past, that’s often meant installing beta software on a spare device, but sooner or later, there’s no substitute for committing it to the iOS device or Mac that you use every day. The key question is at what point you make that jump: Usually you give Apple a few beta releases to work out the kinks and fully implement many of the features. Nowadays I have fewer spare devices available to install betas on—but to heck with it, I thought to myself: My Apple Watch, much as I like it, is hardly an indispensable part of my everyday life. And ready I was to go ahead and install the watchOS 3 beta when I ran up against a bit of a brick wall—because in order to install the watchOS 3 beta, I also needed to install the iOS 10 beta on my iPhone. It doesn’t stop there, either. Want to try out Apple’s new Auto Unlock feature? 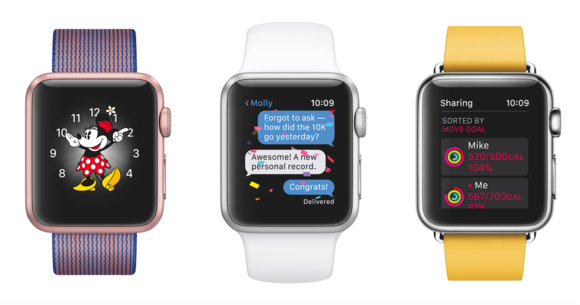 You’ll need to have the watchOS 3 beta installed and the macOS Sierra beta. Meanwhile, the automation features of HomeKit in iOS 10 take advantage of the fact that an Apple TV (or, optionally, an iPad) is always on and connected to your network to run routines as specific times. And the Universal Clipboard? Well, yeah, I think you can figure that out. You see what I’m getting at: it’s all connected. It’s no longer simply about Apple controlling the hardware and software but about your whole ecosystem working on Apple (or Apple-compatible) devices. The seeds of this have, of course, been long sown, but over the past few years in particular, it’s become a more and more prevalent theme of Apple’s yearly releases. It’s no longer simply about Apple controlling the hardware and software but about your whole ecosystem working on Apple (or Apple-compatible) devices. We’ve gone beyond the stage of Apple products simply working better with other Apple products, and more into them actively working together. Features like Handoff, for example, and all of the other technologies closely linked to it—AirDrop, the new Auto Unlock and Universal Clipboard features—add extra functionality that’s only available on Apple’s platforms. And, more to the point, those features that exist in the space between our devices have become among the most attractive new features that Apple is rolling out. But to my mind Apple hasn’t yet gone far enough when it comes to expanding the capabilities that this inter-device operation could offer. I could, for example, use Hey Siri on my phone and tell it to skip to a certain point in the video I’m watching on my Apple TV. Or have my Apple Watch notify me when I get up and start to leave some place without remembering to take my phone. Or tell Siri on my iPhone to display something—a webpage, a document—on my iMac or Apple TV, and have it understand what I mean. None of these features are especially farfetched when you consider the state of Apple’s ecosystem today, but as our technology becomes more and more embedded—and, hopefully, more transparent—in our lives, these coordinated abilities among them is going to become ever more important.